We have a selection of CHRISTMAS MUSIC in our store at www.amazon.com/shops/read2learnbooks . Both formats of VINYL RECORDS AND CDS are available. 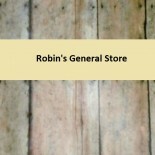 This entry was posted on December 8, 2013 by Robin's General Store in Uncategorized and tagged cd, christmas music, music, vinyl records.